Walsh is a 3-time Beach Volleyball Gold Medalist (Athens 2004, Beijing 2008, London 2012) and was a member of the 2000 Indoor Women’s Volleyball Olympic Team in Sydney. 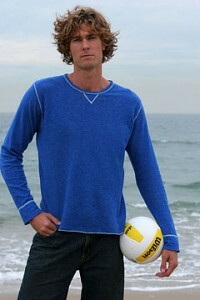 Walsh is a two-time AVP MVP (2003, 2004) and part of the Tour’s Team of the Year for the past five seasons. 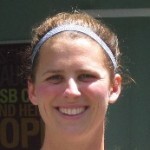 She has also been named AVP Best Offensive Player in 2003. For three straight seasons, she was chosen as the FIVB’s Best Hitter, Best Blocker and Sportsperson in addition to collecting the 2007 Best Offensive and Most Outstanding Player awards. She graduated from Stanford University with a BA in American Studies. Hometown: Fort Myers Beach, Fla.
Resides: Fort Myers Beach Fla.
Turner’s first five AVP championship matches were all against Misty May-Treanor and Kerri Walsh, and she won her first title in her sixth try, against a different opponent. From June 2008 to May 2009, Turner advanced to five FIVB semifinals with three different partners. In 2006 Turner played in events in 18 of 19 consecutive weeks, including four trips to Europe in that span. Fuerbringer and Jennings own the longest active win streak, having won at least one AVP tournament each season from 2004-08. Fuerby is the only player to rank in the top four in hitting percentage for the last four seasons (2004-08). He graduated from Stanford University with a degree in American Studies. Angela Lewis is nothing short of a miracle survivor. Here is a video that tells the story. Not only a beach volleyball player, Angela is an entrepreneur. She owns her own graphic design and consulting business. She graduated from Sacramento State with her degree in Graphic Design. Lima did not qualify in the first AVP tournament she ever played in (San Diego in 2004), but since has never failed to advance from a qualifier. She appeared in a comic TV show in Brazil with VB Legend, Jackie Silva. She was a beginners’ teacher for Flamenco Dance. Brooke was academic all-Big 10 all four years at Michigan State. In addition to volleyball, she won six state championships (in Memphis) in track and field and set nine school records. In 1988-2000 she was a national equestrian finalist. She graduated high school in just three years. She competed in the Sydney 2000 Olympic Games for Australia with Annette Huygens Tholen..
Straton ranked in the top 10 on the Tour in three statistical categories in 2006. She was fourth in blocks (.98 per game), sixth in kills (6.83 per game), and eighth in hitting percentage (.434). If she weren’t playing volleyball, “Stratty” says she would be a personal trainer or sports scientist as she graduated with honors in exercise physiology. One of the most defining moments in his life was being recruited and accepted to USC . He enjoys “snowboarding, basketball, electronics, a little bit of golf, surfing and music concerts”. Majored in public policy and management at USC. Alfee originally went to UC Santa Barbara in 2001, but saw limited playing time for two seasons. 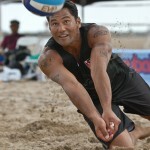 In 2003, he considered giving up volleyball and going to UCLA, but he also sent a tape to Hawai’i and ended up as the Warriors’ starting libero beginning in the spring of 2004. Alfee has Alaskan, Asian and Filipino roots. 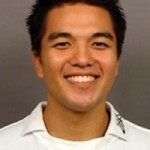 Graduated from Hawai’i in 2006 with a BA in English. Fendrick’s first career main draw match win came in the 2003 Manhattan Beach Open, and entering the 2009 season three of her nine best finishes had come in the Manhattan Beach Opens. She made her Hot Winter Nights debut in Portland in 2009, claiming the title. She played in one other event that season. At UCLA, she was on the Pac-10 all-freshman team in volleyball as well as being a reserve pitcher on the NCAA runner-up softball team. 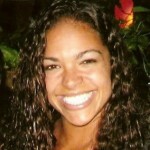 Was All-American in her senior season (2003), becoming one of the first two players in school history to earn that honor. In 2004 she traveled to Europe to work with NBC at the Olympics in Greece. She graduated from the University of Virginia with a B.A. in Psychology.